The majority of letters sent through post offices fall under this category. Individuals and offices send letters in this form when the message or information is ordinary and simple i.e. when the message is not important or urgent or confidential. It requires postage stamps of Rs. 2. The post offices do not keep the record of such letters. No one will be made responsible for the loss or damage of such letter. This is not a safe method of sending important, urgent and confidential matters. It is an economical method which requires a minimum cost of postage stamps. It is the most suitable method for the simple and ordinary message. It can be used even for sending long messages and texts. It is the simple method which can be used by any person having at least idea of sending a letter through the post office. It is not suitable for urgent, important and valuable message and information. It is not the safe method as the post office does not take any responsibility for the loss or damage of the letters and documents in transit. It does not assure the sender about the delivery of the letter of the right receiver. 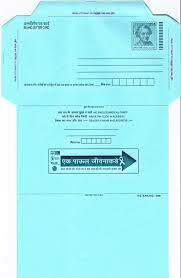 It is costlier for short message due to the requirement of separate paper and envelope. The letter which is recorded by the post office in its book is called registered letter. The post office records the name and address of the sender and receiver of the letter in its book. The post office records the name and address of the sender and the receiver of the letter in its book. It issues a receipt to the sender as an evidence of the letter received and registered. The post office is responsible for the loss and damage of the letters. Registered letter is convenient and safe for important, urgent and confidential matters. It requires more amount of postage stamps than an ordinary letter. Moreover, the insurance of the letter enables the sender to make a financial claim for the loss or damage of the letters, documents, and parcel. It is suitable for important, urgent and confidential matters. It is the safest method of sending letter and documents. It assures the sender for the delivery of the letter to the right receiver due to the provision of return receipt. It assures the sender to get financial compensation for the loss or damage of the letter, document, and parcel. It is not suitable for simple or ordinary matters. It is the expensive method of sending a letter which requires more amount of postage stamp. It does not assure the sender for timely delivery of the letter. It requires proper knowledge of the process of registration, filling in the return receipt and ensuring the letter. An aerogram is a printed sheet of paper issued by the post office for writing and sending a message. It contains space for writing the name and address of the sender, receiver and enough place for writing the message. It is bought from the post office at a nominal cost. It is used for sending a simple, short and ordinary message. It is a cheaper method of sending the message which does not require an additional sheet of paper, postage stamp, and envelope. The post office does not allow to keep additional paper or document in the aerogram. It is simple and easier method of sending a message of the personal affair. It is a cheaper method of sending a message which requires a nominal cost for an aerogram and postage stamp. It does not require an additional sheet of paper and envelope. It is suitable for sending relatively short, simple and ordinary message. It is not suitable for important and confidential matters. It cannot maintain the secrecy of the matters as some of the messages in the aerogram are visible to others. It cannot make the post office responsible for the loss or damage of the message. It cannot be used for sending a long text of the message as the space available in an aerogram is limited. A postcard is a printed card of thick paper issued by the post office to send a short message. It contains space for writing name and address of the sender, receiver and little space for writing a short message. It does not require an envelope. It is quite an economical method of sending a short message like best wishes, congratulation messages, invitation, and inquiry. It is simple and easier method of sending a message. It is suitable for expressing and sending best wishes, congratulation, condolence, invitation, and inquiry. It is a cheaper method which requires a nominal cost for the postcard and postage stamp. It does not require the additional sheet of paper and envelope. It is not suitable for important, urgent and confidential message. It does not maintain the secrecy of the message as the postcard travels absolutely bare. It leaves the user no rights to claim for the damage and loss of the message. EMS is the advanced and the latest postal service. EMS is available in 48 major towns and cities of the country and 26 countries of the world. It is the best delivery solution. It is the generic name for high speed, low cost and time bound guaranteed delivery service. It is affordable, reliable, speedy, customer focused and technology based postal service. It meets the growing customer demand for delivering their time sensitivity documents and merchandise items with extra speed and without any procedural delays. Fax: Fax is an electronic system of telecommunication which uses a telephone line to send the message from one place to another place. It is one of the popular means of the communication device by which text and graphics from source can be transmitted and received in the same format. It is a quite suitable means of communication for sending lengthy messages to a distant place comparatively at a lower cost. Nowadays, computer and the internet can be used instead of a fax machine to transmit the necessary message from one place to another place. Electronic mail (e- Mail): An e- mail is, generally, a text message sent through the computer. It is done with the help of telephone and internet service provider. But there are companies like hotmail.com, yahoo.com, gmail.com and rediffmail.com that provide free mail- box to its clients. It is the cheapest and the fastest means of communication. But it cannot always be called the safest as the mail can be deleted by a person we never know. Internet: Internet has become a market. Many people have transactions of millions of dollars every day. E- Commerce is only possible through the internet. This is a better means of communication of this modern age. It is the latest advanced technology in the field of communication. The big world is shrinking to a small house due to the internet facility. It helps to promote trade and industry. It facilitates for buying and selling. It facilitates in the field of education, health, trade, foreign trade, and defense. It has changed the lifestyle of the people and opened the door for additional employment opportunity. The post office has given a number of options to send letters from one place to another place which are known as methods of sending letters. Ordinary letter, registered letter, aerogram, the internet, postcard, EMS, e-mail, fax, etc are some methods of sending letters. 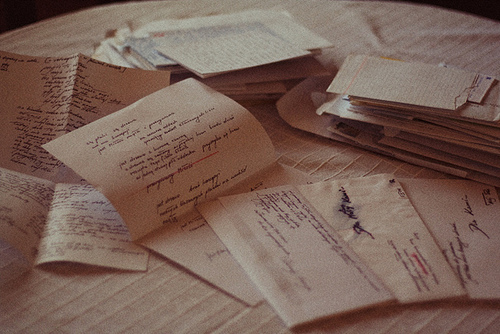 Ordinary letter is not a safe method of sending important, urgent and confidential matters. An aerogram is a printed sheet of paper issued by the post office for writing and sending the message. Postcard is quite an economical method of sending a short message like best wishes, congratulation messages, invitation, and inquiry. EMS is the advanced and the latest postal service. It is a generic name for high speed, low cost and time bound guaranteed delivery service. State three advantages and disadvantages of registered letter. The letter which is recorded by the post office in its book is called register letter. The post office records the name and address of the sender and the receiver of the letter in its book. These are the advantage and disadvantages of registered letter. State the advantages of ordinary letter. It is the most suitable method for simple and ordinary message. State the disadvantages of ordinary letter. State the advantages of registered letter. State the disadvantages of registered letter. It requires proper knowledge of the process of registration, filling in the return receipt and insuring the letter. What are the advantages of aerogram? What are the disadvantages of aerogram? What are the advantages of post card? What are the disadvantages of post card? It does not maintain the secrecy of the message as the postcard travels absolutely bare. c. It cannot make the post office responsible for the loss or damage of the message.d. It leaves the user no rights to claim for the damage and loss of the message. It cannot make the post office responsible for the loss or damage of the message. d. It leaves the user no rights to claim for the damage and loss of the message. The letter which is recorded by the post office in its book is called ______. What is the fullform of EMS? A printed card of thick paper issued by the post office to send short message is ______. A text message sent through computer is ______. The cheapest and the fastest means of communication is ______. A printed sheet of paper issued by the post office for writing and sending message is ______. Any Questions on 'Methods of Sending letters '?